With 2018’s World Wildlife Day celebrating Big Cats on March 3rd, we’ve rounded up some purrfect wild and wonderful cat crochet patterns to sink your hooks into! Established by the UN General Assembly, this global celebration is all about drawing attention to endangered species and what we can do to protect them. What better opportunity to shed light on our beautiful planet’s wild plants and animals than crochet your very own nature loving project!? We were thrilled to discover that this year’s theme is “Big Cats!” From snow leopards and jaguars, to majestic lions and cuddly tigers – which can only mean one thing – time to crochet cats! We’ve rounded up these fabulous jungle cat patterns for you to try, and don’t forget to share your progress with us on our community! This fabulous leopard print case is the perfect accessory to protect your tablet. Try vibrant color combinations to give your project a bright twist with a playful jungle edge! With his big paws and fuzzy soft orange mane this gorgeous lion pattern by Kristi Tullus is king of the jungle! The perfect partner for playtime adventures and for your little one to cuddle up with at nap times! This tiger cub pattern by Michelle Alvarez is so cute! Made from sport weight yarn, this teenie jungle cat is a wonderful edition to your amigurumi collection. Cuddly and soft this Little Pillow Pals Jaguar pattern is perfect for catnaps! The brainchild of Little Squirrel Designs, the puffy square body is great for kid’s sofa spaces, or propped on children’s beds. For your own little cubs, this gorgeous Tilly the Tabby Cat Hooded Scarf by Two of Wands is just fantastic for outdoor adventures. Crocheted in the mighty, snug Lion Brand Wool Ease Thick and Quick Prints this is a superb project to get your hook into when the weather still bites! What are you crocheting for World Wildlife Day? Do you have a favorite cat pattern you’d like to share? Let us know in the comments below! Two Adorably Cute Dog Patterns – One Exclusively Free! Crochet for World Cancer Day! 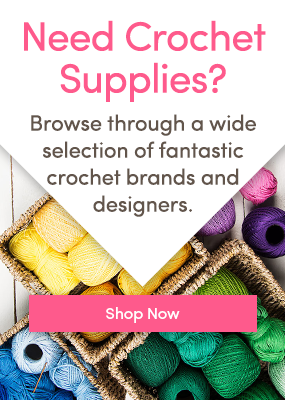 5 Crochet Projects to Try for World Kindness Day 5 Patterns to Celebrate International Sloth Day!